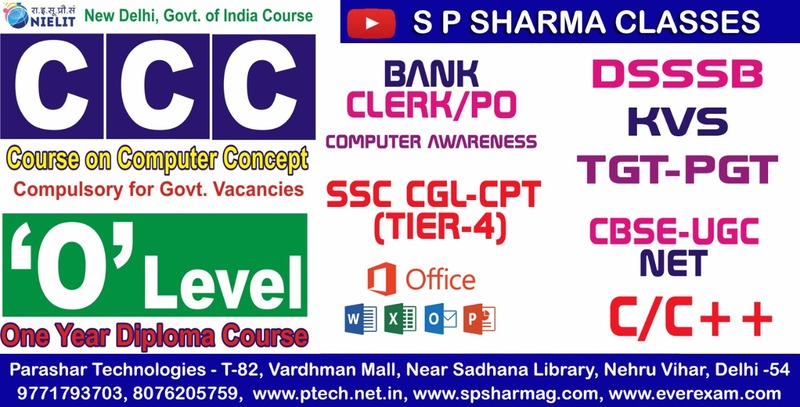 Mr. S P SHARMA, director of Parashar Technologies S P SHARMA CLASSES, is the ultimate option for all IT students and professionals who are keen in honing their IT skills to keep updated and handle various job profiles such as in IT companies, banks, insurance companies, investments companies etc. His way of teaching is very interactive and easy to grasp. With his 06 years of experience, he exactly feels the pulse of IT technology to keep himself abreast with the latest softwareâ? ?s available in the industry and their application in respective fields. His modules and teaching style includes customized text and diagrammatically presentations on each and every topic that helps the students to understand the concept better. His style of teaching is very different and he believes in concept clarity of every student along with the proper explanation. He has accumulated practical examples with the conceptual clarity to make the subject easy. He trains his students with his unique teaching skills in a way that studies become useful for them even after the classes. He keeps the class throughout interactive and gives an environment to students where they can share their doubts easily. He provides them the best help when his students require it. He has trained more than 2000 candidates across companies including Ministry of Defense, Ministry of Labour and Employment, Dish TV, Samsung, and PNB-HFL, Parashar Technologies, DAV-ITC, Alchemist. He has also 02 years Industry experience as a Software Developer in Mack Group of Companies. He has passed out B.Sc. (PCM), MCA, M.Tech. (IT). FOR MORE DETAILS PLEASE VISIT:WWW.SPSHARMAG.COM. FOR ONLINE COURSES: CLICK HERE. FOR STUDY MATERIALS OF OTHER COURSES:CLICK HERE.